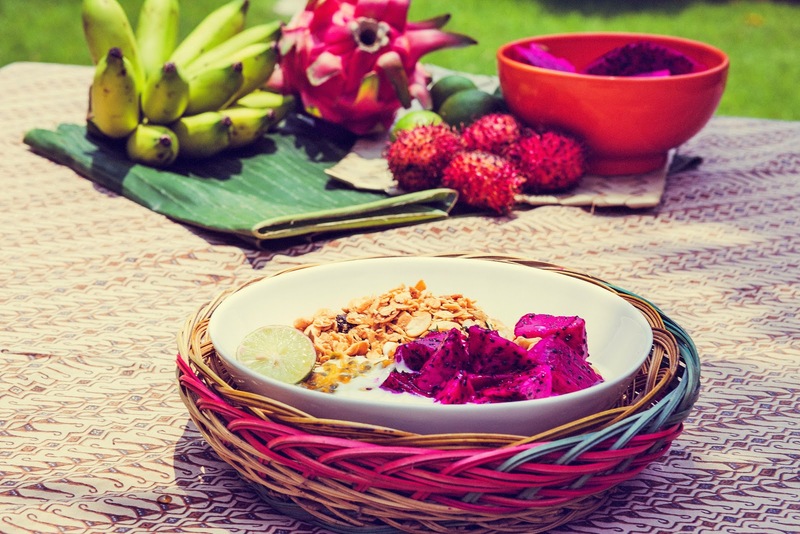 From where you'd rather be - by Ale Romo: Join us for a Surf & Yoga vacation in Bali, the Island of the Gods..
Join us for a Surf & Yoga vacation in Bali, the Island of the Gods..
Join us in Bali, the ‘Island of the Gods’, for an unforgettable Surf, Yoga & Wellness Retreat. Located on the spectacular Bukit peninsula of Bali, we are just a 5 minutes ride to the beautiful beach of Balangan and in easy reach of other world famous surf breaks. 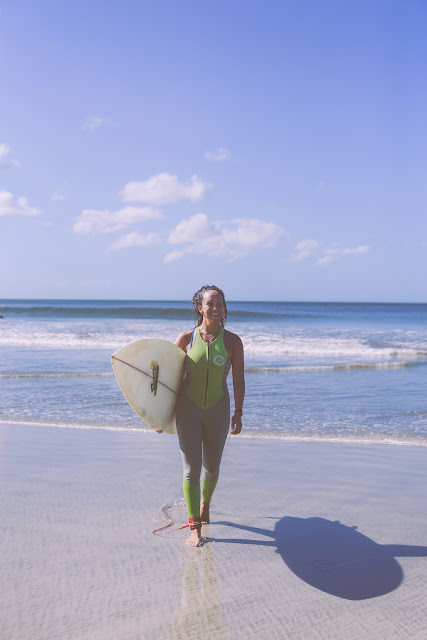 For those who are confident in catching that green wave, we offer professional intermediate level surf guided sessions (with video coaching), daily meditation, yoga classes, nourishing organic healthy meals and gorgeous relaxing wellness treatments. As part of your stay, there will be plenty of time to immerse yourself into the rich culture of the island. We will visit the famous Uluwatu temple for a magical evening of Balinese music and dance; and explore the spiritual town of Ubud with its breath taking rice padi terraces. Our photographer will be there to capture those memorable moments. Our retreat is bought to you by a dream team of international professionals from Seasoul Shelter, MALEKAI and From Where You’d Rather Be. We are passionate and excited about helping our guests lead active and healthy lifestyles. Let us take care of you. 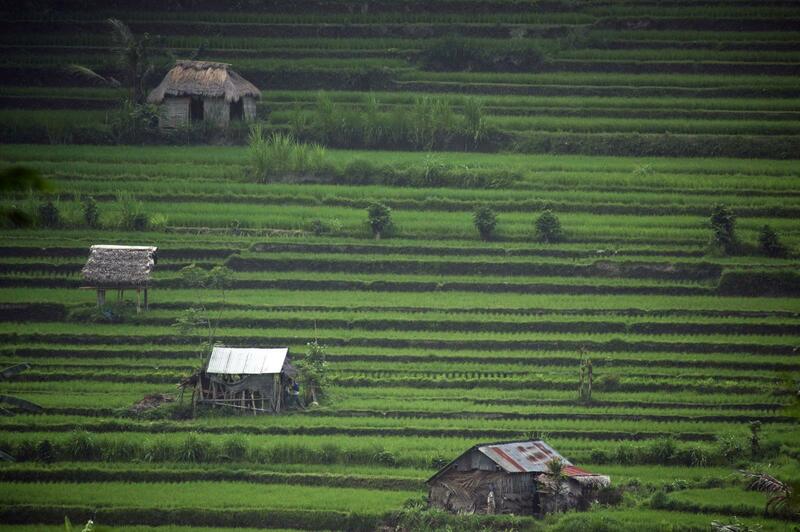 Relax and experience the beauty of Bali! 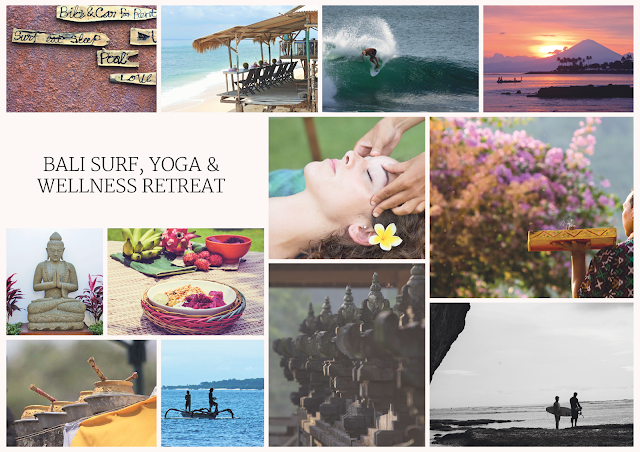 Luxury all-inclusive Surf, Yoga & Wellness Retreat. Luxurious accommodation: Double luxury rooms with large en-suite bathroom. 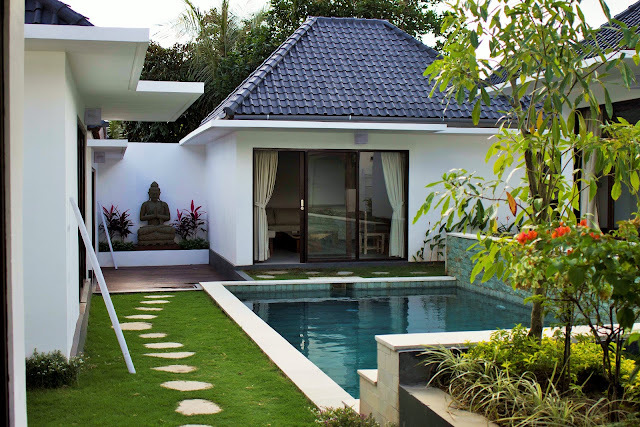 Relaxing swimming pool, tropical garden and common open living & dining area. Daily yoga classes: Ashtanga, vinyasa flow, pranayama (breathing) and guided meditation sessions by a certified international yoga teacher. Professional surf guiding, with video coaching, for intermediate surfers. Bring your own board or there is a range of short and long boards available that you can try and use. A complimentary wellness treatment by a qualified masseuse, a choice of 1 hour Balinese massage or reflexology session (request on arrival). 2 cultural trips - A mesmerising evening ceremony at Uluwatu Temple and a day tour to Ubud’s local market and King’s palace. Post retreat photo album (web resolution & watermarked) photos of your trip available to download for all the participants taken by our professional photographer: *Alejandra Romo (www.aleromophotography.com). All High Res pictures will be available to purchase, once the retreat is finished. 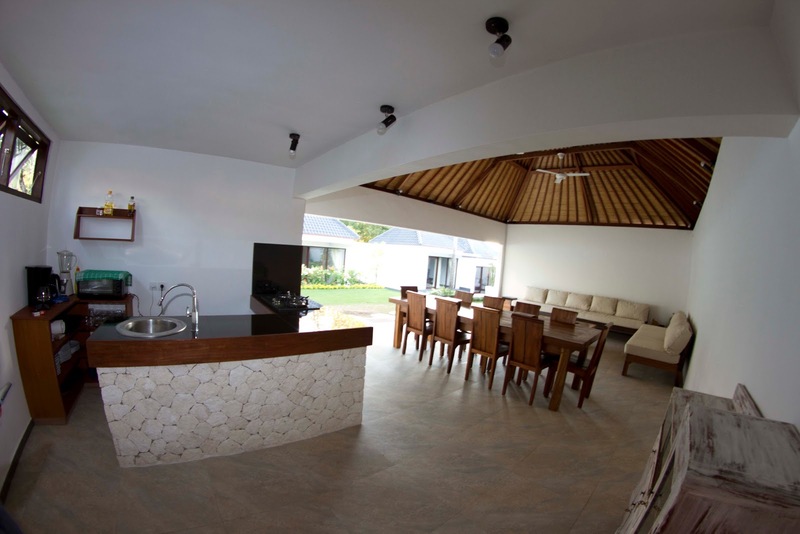 Ombak Villas Bali is situated only 30 to 40 minutes from Denpasar international airport. 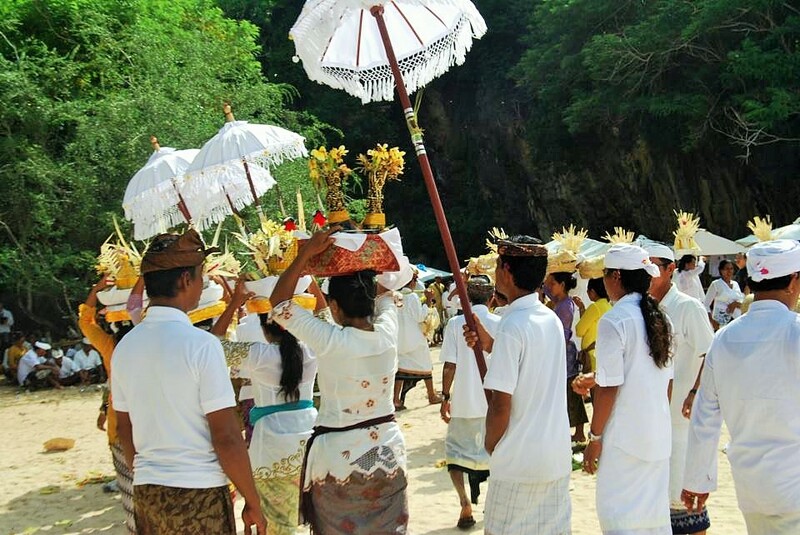 The famous Uluwatu temple is 10 minutes reach, while the beautiful beach of Balangan is only a 5 minute ride away. Surrounded by nature, small villages, forests and fields and a stunning starry sky, our luxurious villas are the ideal place to unwind. 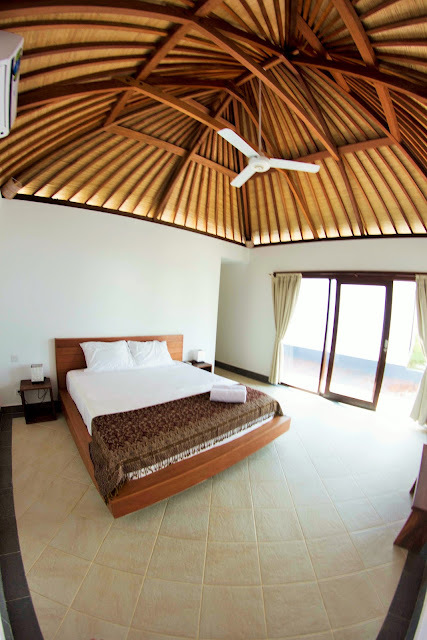 We offer 4 rooms in form of four 36m2 villas. 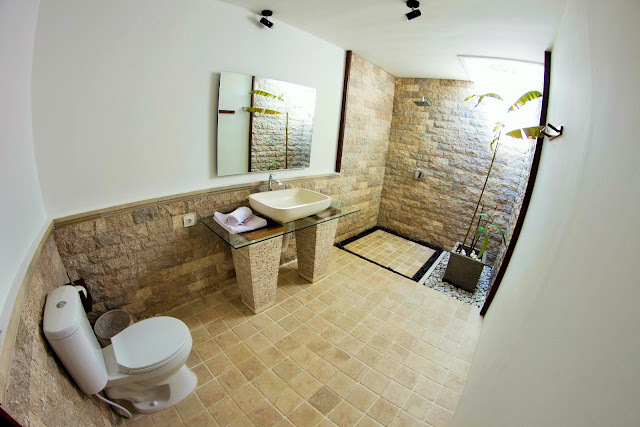 Each room is designed for 2 people and have a king size double bed, a private spacious bathroom with a rain shower, a walk-in closet, air conditioning, Wi-Fi, hot water and fresh towels. Plus there is 24 hours security service. Early bird: Get a $100 discount if booking before 4 months to the date of commencement of the retreat. Refunds will be considered unless urgency matters. Every request will be studied and treated personally. Meals & drinks purchased at restaurants or local cafes & bars. Originally from Germany, Concha decided to live near the ocean at a very young age. That may be due to her name, which means, “shell”. Concha is a globetrotter. When she is not travelling the world to find surf destinations, she spends her life on the beautiful rugged coastline of southern Portugal. Her love of surfing and the ocean reflects in spending most hours of the day in the water, catching waves. Almost a decade now, she has been teaching surfers of different levels. She has gained a number of certificates in “Outdoor Adventure Management”, “Outdoor Education” and has a Bachelor degree (Hons) in “Sports Coaching and Performance”. 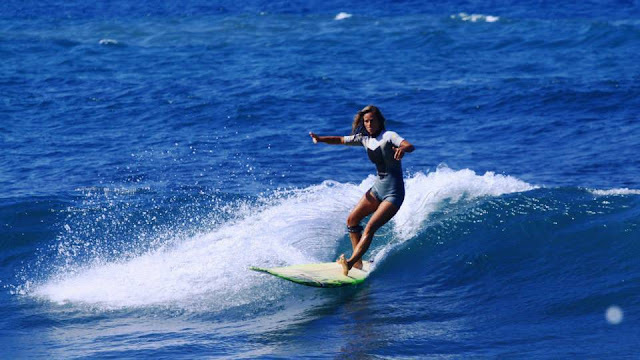 During the retreat she will be surf guiding and coaching you in the best spots on the island. Together with her long time friend Killa, they will take your surfing to the next level! “I have a burning passion for life in all it’s simplicity. I believe to be kind, to share and to smile at each other is the base of our everyday happiness and this reflects in our travel concepts”. Killa is a passionate sea soul, traveller and photographer. After finishing a design degree and working in the industry for a few years, she started to let go and commenced her personal process to live in balance of mind, body and spirit. Surfing truly changed her perception of the world. 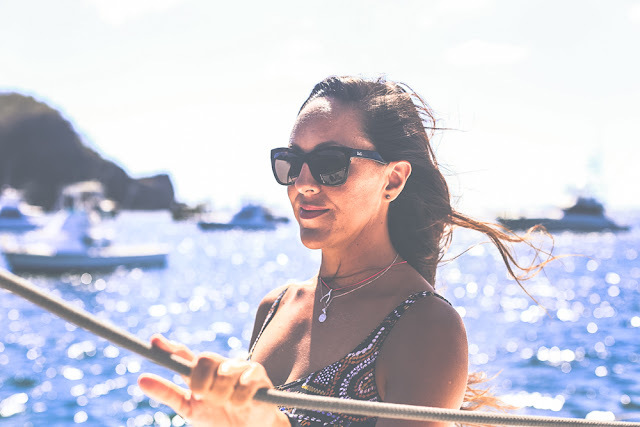 Beside many amazing adventures, it brought her to live in Portugal over 10 years ago, working with Algarve Surfschool, where she was one of the first female surf teachers and encouraged other woman to follow. Nathalie de Haaij is a certified Ashtanga Vinyasa yoga teacher (Primary Series) and also a qualified Masseuse. She is true nomad, travelling the globe and loves sharing her passion and inspiring the people she meets on the way. 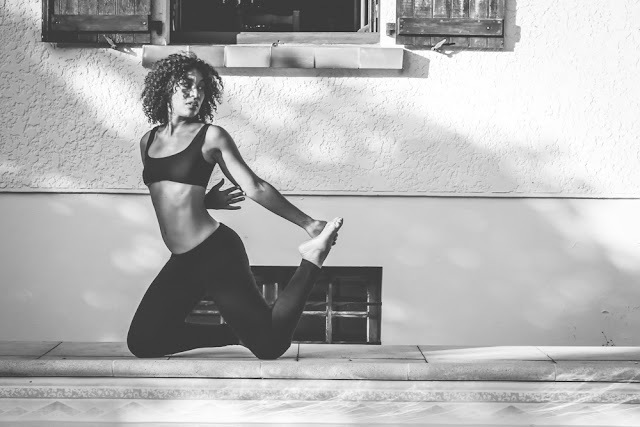 She is an ambassador for ultimate wellness, combining yoga, massage and healthy eating as way for people to feel amazing inside and out. Here is her link for more info: https://www.facebook.com/malekai2014. During the retreat, she will be our Yogi guru, leading our yoga classes. 1hr morning sessions starting with meditation, breathing techniques and a gentle warm up, followed by an energetic vinyasa flow and a selection of primary series asanas (standing, seated and inversion postures). 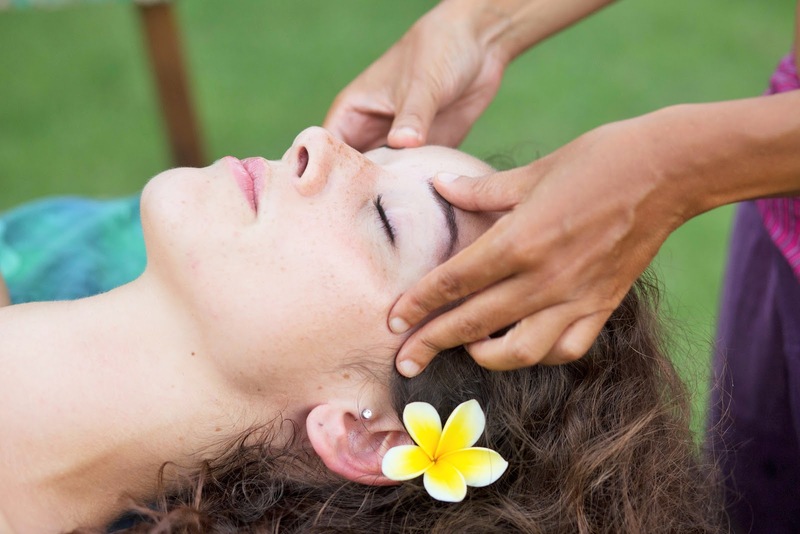 She will also be taking reservations for Balinese massage and other beauty and wellness treats. Ale is a talented Photographer, Blogger, Surfer, Ocean lover and an avid Adventurer. 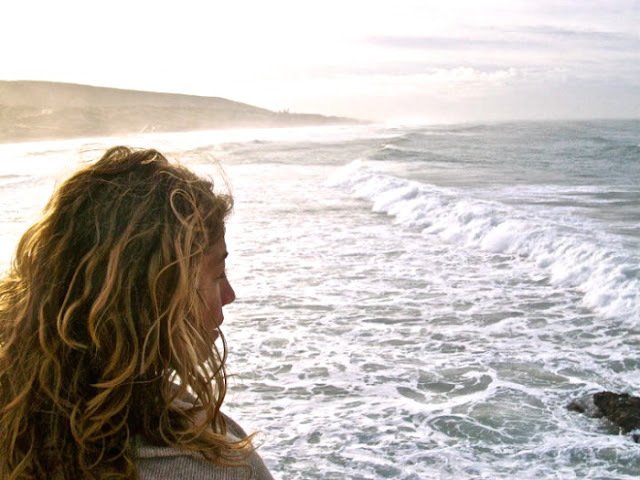 After working many years at publicity agencies, and afterwards managing international projects for Surfrider Foundation Europe; she realized that her place was behind the camera documenting the good life, surfers and the joys of the ocean. Like the rest of the team, Ale enjoys travelling, always curious about cultures and languages. During the retreat Ale will be your professional photographer, capturing those special moments on your trip. This event seems so amazing!! I wish I could have attended this. Anyway, this year we are going to throw official Christmas party in Bali. I have hired a professional corporate event planning company for the arrangements. You know I’ll take my staff to 5 days trip to Bali. It hasn't happen yet Steven! We will celebrate our retreats in January 2016! Wow ! It's amazing to join surf yoga vacation in Bali, It is the beautiful island for Yoga retreat, it is also called the Island of Gods. Get offer to join Mexico meditation retreat center to make your mind peaceful and enjoy the life. Its a useful post for travel and tourism and most useful for tourist who want to join surf yoga.thanks for sharing this informative post.